Minyu is a fun loving, energetic,empathetic and amiable girl. A firm believer in the Almighty she holds her faith in God above a lot of other things in life. She is well read, loves travelling and adventure and is also a sports enthusiast. A wonderful singer, she is very passionate about the music that she listens to and follows. writing and publishing which she enjoys immensely. 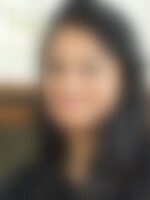 She is enjoying a good degree of success in her new field and is currently employed with another reputed MNC in Bangalore. She is currently in Toronto pursuing higher education. She has an upper middle class family background with moderate values. Her father is a businessman while her mother is a working professional. She has one sister, who is married.